A man who tends a memorial to 10 American airmen has been commended by the governor of the state of Missouri. 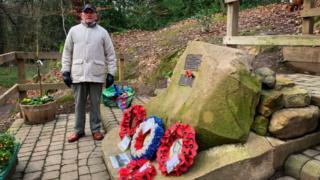 Tony Foulds looks after the memorial to the B-17 Flying Fortress, known as Mi Amigo, that crashed at Endcliffe Park, Sheffield, in World War Two. Mr Foulds was a schoolboy when he saw the plane, whose pilot came from Missouri, crash on 22 February 1944. He said the American honour was "brilliant" but it was "not about this, it's about the lads". Missouri Governor Mike Parson issued a proclamation to thank Mr Foulds "for his profound devotion to remembering and commemorating the Mi Amigo crew". The proclamation goes on to thank him for decades of "honouring noble service and fostering a spirit of cooperation among peoples and nations". Thousands of people cheered a flypast, prompted by Mr Fould's dedication, at the memorial on the 75th anniversary of the crash on Friday. Mr Foulds said that when he goes to the memorial in the park it is now "packed" with other people paying tribute. The Missouri proclamation states the Mi Amigo was severely damaged by shelling during a raid on an enemy airbase and was flying low searching for a place to make an emergency landing. Because children, including Mr Foulds, were playing in the park, the pilot Lt John Kriegshauser, from St Louis, crashed the plane into woods and there were no survivors. 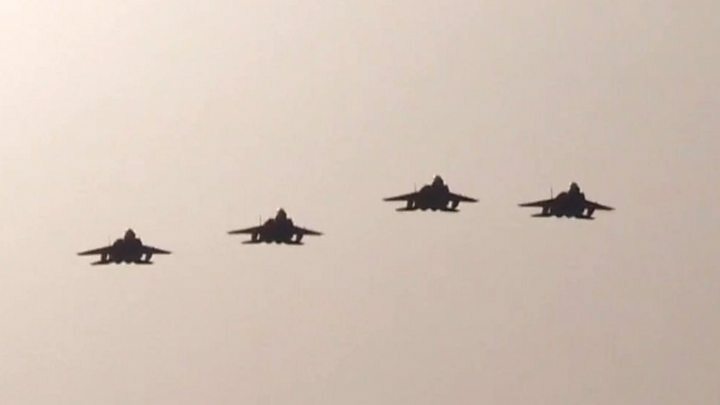 Jim Kriegshauser, the pilot's nephew said at the flypast: "It kind of touched a nerve and showed the mobility of the human spirit. "We saw correspondence between my grandparents saying Sheffield would never forget. They clearly never forgot."